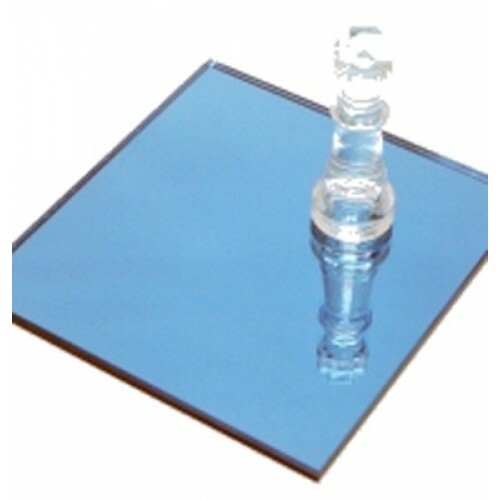 Blue tinted mirror offers a fresh, contemporary twist to silvered mirror glass. It can be cut to shape and size. 5mm thickness. This mirror glass cannot be toughened.